I was watching the latest Winnie the Pooh movie with my daughter. Being too lazy to get up and turn the movie off, I watched the credits. I loved when I saw an entry for the person with the role “caffeination.” Movies do a great job of giving each and every person credit for the work they did on the movie. The person on Winnie the Pooh ensured coffee was readily available when needed. This allowed each member on the set to focus on their roles and not have their time taken away by making their own coffee or even leaving to get coffee. Movies are essentially projects, and there are many people who contribute to a project. A leader recently told me that she didn’t view her position as a senior director as any better than other positions within the company. She had a role to play that contributed to the success of the company, as did each and every other person on the payroll. Everyone from the security guards and the cleaning crew to the senior VPs and CXOs help make the company operate. Can you imagine life without a cleaning crew? Trash piling up, counters never being wiped down…the restrooms. Either employees would no longer work there because of the conditions, or each employee would have to take responsibility to help with those activities. And while that may work, they would be taken away from the job in which they are skilled and the company is paying them to do, which will ultimately cost more than having a specialist in corporate cleaning to take on the responsibility. Each person plays a unique and important role in the company. And while some positions might be more difficult or have more visibility, it doesn’t make them more important. 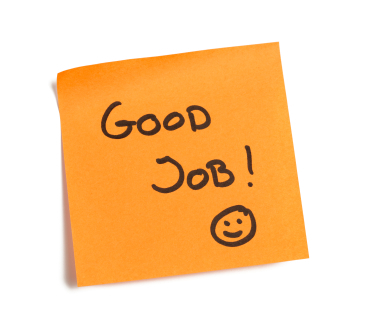 Remember to give each and every person the credit they are due on your projects and in your teams! In reality, there are no little people. From Roadkill to Pooh Bears…Great insight in what produces a great team. I can’t wait to see what inspires you next. This works at home and in the community as well. For example, if the restaurant you frequent is out of your favorite dish, thank the server for the information. The server didn’t cause your inconvenience…so don’t cause him or her any grief. In addition, all of your wait staff! Make eye contact with the guy or gal bussing the tables. A little apprecaition goes a long way! I definitely agree. So often we view those relationships as transactional but those people are helping you reach your goals of buying your purchase, getting your dinner, etc. Definitely worth recognizing them for what they do! Thanks for the comment!